What is it that one desires most on a cold, chilly night? Fire, of course and what if you are in a mood of sitting outside and chatting with your family and friends or you just want to enjoy a hot cup of coffee or tea. Yeah, you guessed it right; you would seek out an outdoor fireplace where a nice fire is burning that will keep you warm and cozy. Fireplaces are wonderful places to unwind and relax on a cool night or even daytime when clouds have covered the sky and the sun does not look in a mood to come out. 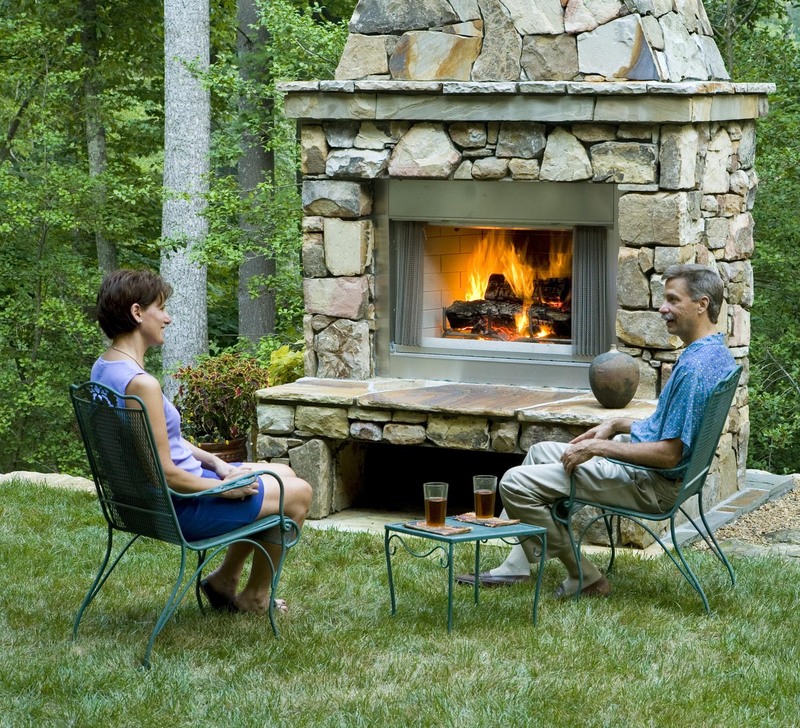 Well, sitting near an outdoor fireplace is a cool experience that all like to enjoy but the outdoor fireplace pictures are also capable of giving us some amount of cool warmth and energy. We have seen the fireplaces in houses, parks and many other places in their different avatars. Today, we bring for you a collection of 30 outdoor fireplace pictures that have been amassed from numerous places and each one has a different look and aura. Take a look and you will see for yourself how real and rare they are. Enjoy. If you liked our selection, perhaps these other posts will interest you too, Fireplace Mantel Designs, Living Room Decorating Ideas For Apartments, Laundry Room Storage Ideas and Dorm Room Decorations Ideas. A cozy sitting area surrounded by greenery makes this place a cool comfort that all would like to have in their homes. A luxurious fireplace with fancy decor and furniture that looks gorgeous. Crafted with natural stone, this fireplace looks elegant and makes for a cool place to relax. This small and cozy fireplace in the garden is appropriate for having chit chats and tea. This outdoor fireplace stands in a public park and serves to the general people. Artistic green fireplace on the roof for enjoying a cold evening in the warmth of the flames. Made of stones and situated amidst green trees, this two section fireplace looks nice. This fireplace having overgrown shrubs and grass seems to have been lying unused for many years. A creepy looking fireplace that has become the get together venue of ghosts. This is a fine outdoor place where you can dine or discuss in the warmth of fire. Amazing architecture lends a classic charm to this outdoor fireplace created for an exhibition. 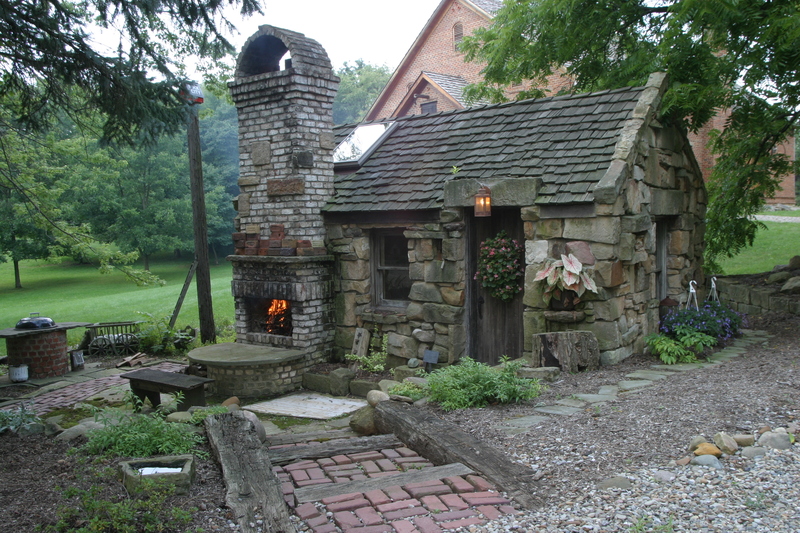 A round fireplace open on top and situated in the back yard with a stone bench for people to sit. A small fireplace which also has a cover on it and exhibits an archaic, old world charm. Glazed marble flooring around the stone fireplace makes for a cool sitting arrangement. An elementary kind of outdoor fireplace but strong enough to provide warmth and protect from the chilling cold. Located in the farmhouse, this fireplace welcomes the guests with its positive warmth and energy. Standing amidst the snow-capped trees and boundaries the fireplace has an inviting look. A small outdoor fireplace made of glass cover and situated in backyard of the house. A cavernous fireplace made in orange color that glows with warmth and energy. A traditional style fireplace, overgrown with grass on edges, still retains its charm and glow. This fireplace displays a colorful architecture and looks quite attractive despite the plain appearance. The worn out walls around and the dismal state of the fireplace has a queer, ghastly charm. This street fireplace, surrounded with leaves and grass, symbolizes loneliness and the state of being useless. A small fireplace setup created in a large brick wall at Monkwearmouth Welfare Ground, Sunderland. A small outdoor fireplace lying quietly in the frozen surrounding makes for a solemn portrait. This fireplace has ample supply of wooden logs to keep the people sitting around it warm and cozy. An outdoor fireplace in the jungle is a blessing for the travellers who want to keep themselves warm on a cold night. A modern and stylish outdoor fireplace that is meant to be a showpiece and attract eyeballs. Situated on a large aloof ground these two fireplaces are there to give company to each other. A neat and cozy fireplace, made of stone, situated in the garden exudes warmth.